Life is definitely more of a rollercoaster than an ice-skating rink. That would be challenging but predictable. Who needs predictable? Progress in life is generally two steps back and one forwards. There are always set-backs, challenges and unforeseen circumstances, but then we find our rhythm again. 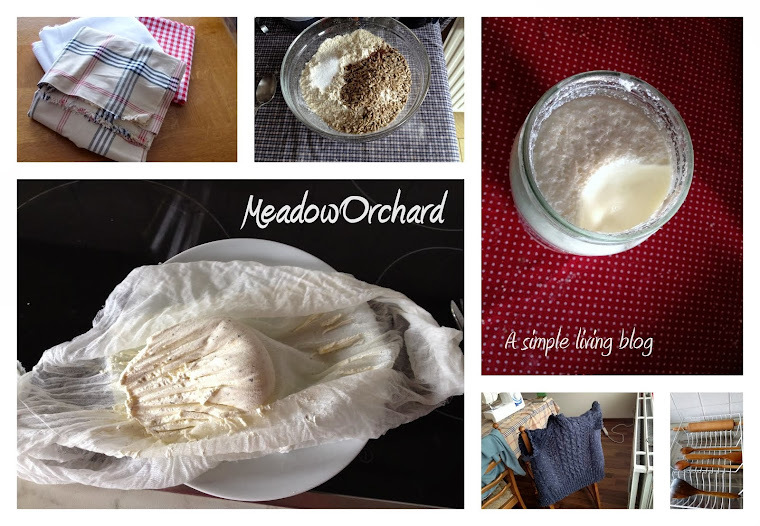 I've been very busy at work recently but over the last few days I have really enjoyed rediscovering simple satisfactions - my first batch of homemade yoghurt in a month, breakfast scones with a pot of coffee to start the Sunday, and slowing down to savour the ironing, the washing up and sweeping. Even though the housework, balcony garden, this blog and myriad other aspects of my simple living journey have fallen by the wayside in the last weeks, I notice that each time I come back to simplicity with renewed focus, renewed energy and renewed efficiency. This is partly because of the accumulation of skills and basic equipment (so I can now whip up a batch of yoghurt on demand without needing to do research) and partly because each time the whirling world of work and social life draw me away from simple living, it's even more blissful to come back to it, even more satisfying to gradually find a tidy, clean home emerge from the chaos. It's like taking a really deep breath, the sense of a knot of tension unravelling in your stomach that you get when you walk out of a major client meeting that you've been really anxious about. So hello, everyone. I'm back. What did I miss? I'm so pleased you're enjoying my book. It seems strange to see it in a photo so far away. You've changed your blog header too. It looks fabulous. I hope you have a lovely day. Thanks! Your book is lovely and I can't wait to get my hands on your next one(s). Please keep on writing! I wonder how many parts of the world your book has reached? Glad to hear you're okay, and that the busy period has passed and you've got time to relax again. I've been using a new sticker system and been having a good few weeks, though I did feel a bit overwhelmed yesterday. Feeling better today. Busy period still here but I'm managing it a bit now, instead of it completely managing me. Ooh new sticker system - can't wait! I owe you a nice long chatty email, and this will definitely come in the very near future. Hope the better days are outnumbering the overwhelmed days! Well....we missed you! I have to agree with the wonderfulness of Rhonda's book. My man bought it for my birthday last year and devoured it. A great mix of articles, ideas, recipes, patterns and a thoughtful template for simple living. I find it a really good anchor to come back to again and again. Aw shucks! Thanks! Yes Rhonda's book is amazing - I enjoy just flicking through, reading a page here and a page there. Oh so easy. I feel I want a radio that allows me to tune the world out, and just get a nice long quietness.